Helen L. Porter, 96, passed away November 21, 2018. She was born and raised in Menominee, MI to the late Arthur and Jeannette (Pedersen) Schmidt and moved to Akron in her 20’s after graduating from the Apostolic Bible Institute in St. Paul, MN. Helen worked in bookkeeping at First National Bank and in the meat-cutting department at ACME. She was an organist for over 40 years at the former Apostolic Gospel Church on Arlington and at the Eckard Baldwin Funeral Home. She also served as a missionary in Haiti for 10 years and was an accomplished seamstress, especially bridal gowns. In addition to her parents, she was preceded in death by her husband, Berkley, and brothers, Richard and Donald Schmidt. She is survived by her daughter, Janet (Al) Thomas; grandson, David Gumm; great-grandchildren, Michael, Lindsay, David Jr. and Timothy Gumm; great-great grandson, Bradley; step-grandson, Nick Thomas; and sister, Ruth Nielson. She also leaves her extended adoptive family, Alan Randall (Anita) Stahls and their children, Aaron, Andrew and Amelia; Chevry (Judith) Bedard and their children, Helen and Alan; and Barbara Andrews. 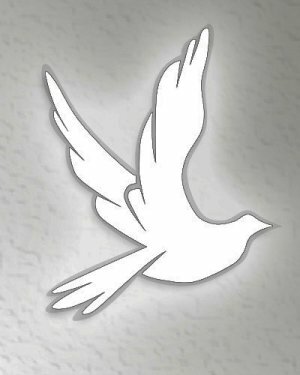 A memorial service will be held on Thursday, December 6, 2018 at 7:00 p.m. at Calvary Apostolic Church, 2693 Nesbitt Ave., with Pastor Nelson Carter officiating. Calling hours will be at church for one hour prior to the service, from 6 – 7 p.m.